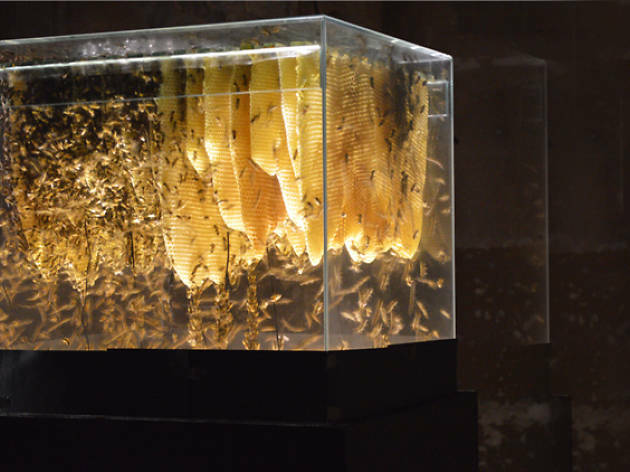 Technically speaking, UK artist Andrea Cavallari's art installation is not created by him but by 50,000 hardworking bumblebees. 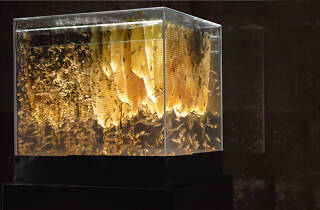 Step into the gallery space and you'll find an empty beehive, the deafening hum of the insects emanating from speakers. Almost a third of the global population of the bee has disappeared, and Cavallari hopes to remind us of the important role they play in pollinating the planet.